Writings from Prison stands as a testament to courage and the political prisoner’s indomitable struggle for recognition and freedom. Foreword by Sinn Fein President Gerry Adams and Introduction by Nobel Peace Prize winner Sean MacBride. 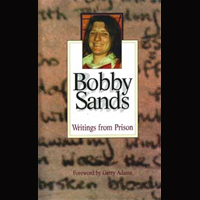 The first seventeen days of Bobby Sands’ H-Block hungerstrike to the death, written by him in diary form, with an introduction by Danny Morrison. 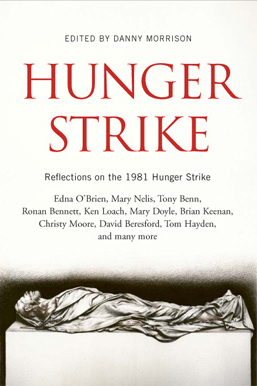 Hunger Strike: Reflections on the 1981 Hunger Strike – edited by Danny Morrison, contributions from Edna O’Brien, Tony Benn, Ken Loach, Christy Moore and many more. Well-known novelists and poets, former prisoners and activists reflect upon the deaths of the ten republican hunger strikers which proved a turning point in relations between Britain and Ireland. Most of the pieces here were specially commissioned, and while they differ greatly, what they have in common is a sense of the intensity of the experience of the hunger strike at the time, and the intensity of the impression made by it even now, twenty-five years later. Contributors also include David Beresford, Tom Hayden, John Montague, Roy Greenslade, Eugene McCabe, Ulick O’Connor, Nell McCafferty, Peter Sheridan, Medbh McGuckian, Robert Ballagh, Shane Connaughton, Timothy O’Grady, Christy Moore, There are less familiar names, too: William Brown, an ecumenical Christian; Mary Doyle, a former hunger striker; Sorj Chalandon, a French journalist; Frank Durkan, an American human rights lawyer; Mary Nelis, an activist and mother of two prisoners; Pedram Moallemian, a former Iranian student. The book was published on the twenty-fifth anniversary of the ending of the hunger strike. Author Danny Morrison is a novelist, playwright and former editor of An Phoblacht/Republican News. This book is currently sold-out and is expected to be back in print by the summer of 2019. Ten Men Dead – by David Beresford. 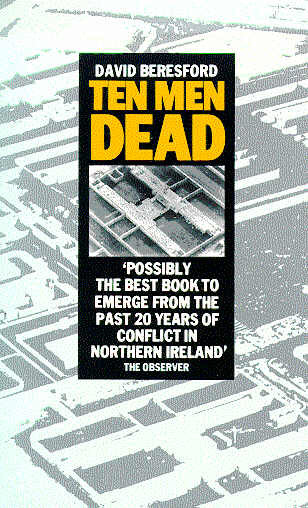 Ten Men Dead was written by the former Guardian correspondent to Ireland, the late David Beresford (d. 2016). It is a harrowing and thought provoking read about comradeship, selflessness and courage and devotion to one’s cause and principles. Drawing extensively on secret ‘comms’ (communications) and letters from the prisoners smuggled out at the time, David Beresford tells an intensely human story, offering a searing portrait of strife-torn Ireland, of the IRA, and the struggle of political prisoners against British brutality. “Possibly the best book to emerge from the war in Ireland… An excellent history of the 1981 hunger strike in Ireland that details the broad cast of characters with insight and care.” – The New York Times Book Review, Best Books of 1989. Nor Meekly Serve My Time: The H-Block Struggle, 1976-1981 – by J. B. Campbell. The H-Block Struggle from 1976-1981 as told for the first time by the prisoners themselves. For five years hundreds of Irish republicans in Long Kesh prison endured deprivation and brutality which culminated in a seven-month long hunger strike resulting in the deaths of ten men. 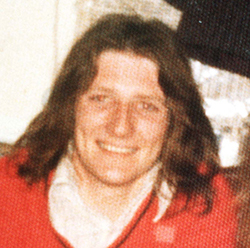 Nothing But An Unfinished Song: Bobby Sands, the Irish Hunger Striker Who Ignited a Generation – by Denis O’Hearn. 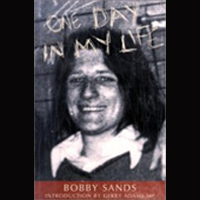 O’Hearn’s biography tells the story of the remarkable life of Bobby Sands who was twenty seven years old when he died. 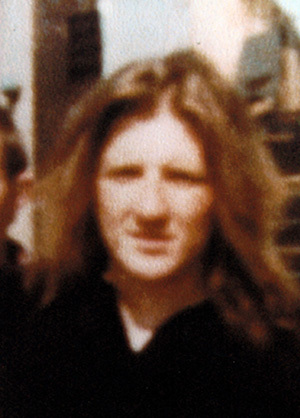 He spent almost nine years of his life in prison because of his activities as an IRA activist. When he died on 5th May 1981, on the sixty-sixth day of his hunger strike against repressive prison conditions in Britain’s notorious H Blocks, parliaments across the world stopped for a minute’s silence in his honour. Nelson Mandela followed Sands’ example and led a similar hunger strike in South Africa, and Fidel Castro compared his suffering to that of Jesus. He is an enduring figure of resistance whose life has been an inspiration to millions around the world. Denis O’Hearn’s powerful biography, with new material based on primary research and interviews, illuminates for this enigmatic and heroic figure. 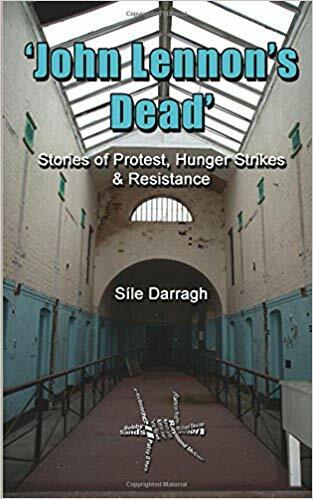 John Lennon’s Dead is the ironic title of Síle Darragh’s account of a life of protest and resistance in Armagh Gaol in the late 1970s and early 1980s, including the two hunger strikes, and of how life on the outside played out on the inside. It is, by far, one of the best accounts of life in jail by a female prisoner. Told with wry humour and great feeling it goes a long way in redressing the imbalance in the prison history which for many reasons has focussed on the blanket protest in the H-Blocks where ten republicans died on hunger strike in 1981. 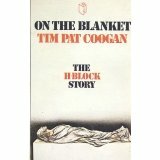 Tim Pat Coogan was the first Irish journalist to bring attention to the appalling conditions in British prisons in the North when in 1980 he published On The Blanket, just before the end of the first hunger strike. Due to a legal action it was withdrawn soon afterwards but this valuable book is once again available. Contains interviews with prisoners and hunger strikers. 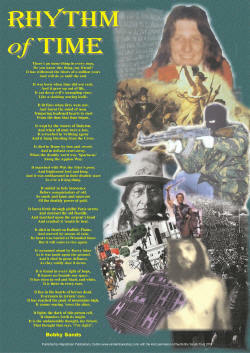 Rhythm of Time Poster – Poem composed by Bobby Sands, IRA Volunteer, who died on Hunger Strike in 1981. This poster gives the complete version of the poem and depicts images from it. Available online from the Sinn Féin Bookshop.